A page from Mark Baker’s ledger showing the account for “Tilton and Baker.” Longyear Museum collection. The ink is faded, the blue cloth cover weathered by use and age. In an exhibit full of artifacts related to the life and work of Mary Baker Eddy, this unassuming ledger book could easily be overlooked, and in fact, the information preserved inside its 80 delicate pages has been explored by few over the years.1 Venturing into this early material, however, reveals a treasure trove of valuable insights into the man who raised Mrs. Eddy — her father, Mark Baker. As the head of his family, Mark was a major influence in his daughter Mary’s life: he raised her and her five siblings to adulthood, and he continued to help support her after the death of her first husband. While he never lived to see his youngest daughter become the leader of a worldwide religious movement, without a doubt he made a deep impression upon her — and in some ways upon her later students, too. Workers in Mrs. Eddy’s household at Chestnut Hill would recall the anecdotes she shared about her father, stories that illustrated his morals, his sense of civic duty, his religious conviction — even his sense of humor. Much of what is known about Mark comes from anecdotes like these, as well as from the Baker Family Collection at Longyear Museum. Documents, correspondence, and even some possessions help form a portrait of the man. So, too, does the ledger. Under its cloak of names and numbers lie forgotten details about Mark’s community, his activities, his network of relationships, and even clues to his financial state over a period of 25 years. The ledger is an account book, one listing goods sold and services rendered by Mark to others. Nearly 500 entries are recorded under the 54 different accounts — the first in 1829 and the last in 1855. Some of the names of Mark’s customers are familiar; others are not. There is Alexander Tilton, for instance, Mark’s son-in-law, and Aaron Baker, his nephew. But who are Col. J. Gale and Dr. Enos Hoyt? Some names appear only once; others more often. To some degree, however, every name expands what is known about the New Hampshire communities in which the Bakers lived. And when these names are cross-referenced using today’s research tools, interesting connections come to light. Another major account from the Bow years is that of Capt. Andrew Gault. The ledger shows that Mark usually helped Andrew on his farm during the month of April. In return, Gault reciprocated on occasion at the Baker farm and also provided Mark with barrels of cider.4 These are interesting details about a relationship that actually went far beyond business. Andrew, who was a few years older than Mark, lived with his family just south of the Baker farm. A dirt path connected their properties. Their families were quite close. Andrew and Mark served together as Bow’s coroners, their wives were close friends, and their children grew up together.5 In fact, one of Mrs. Eddy’s earliest extant poems is dedicated to Andrew Gault, Jr. When the Bakers moved away to Sanbornton Bridge in 1836, the ledger shows that Mark’s business with Andrew came to an end, but letters and documents prove the friendship between the two families continued for decades. There are many more names of interest in the ledger, but perhaps the most significant belongs to Alexander H. Tilton, the wealthy and successful manufacturer who married Mark’s oldest daughter, Abigail, in 1837. 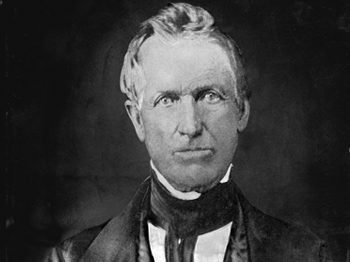 Their business relationship lasted from 1839 to 1855, and 35 transactions are recorded under Tilton’s account, making it the fourth-largest in the ledger. Mark seems mostly to have done farm work for his son-in-law, but he also sold him hay, veal, and other miscellaneous goods. Photograph of Alexander H. Tilton, circa 1860. Longyear Museum collection. 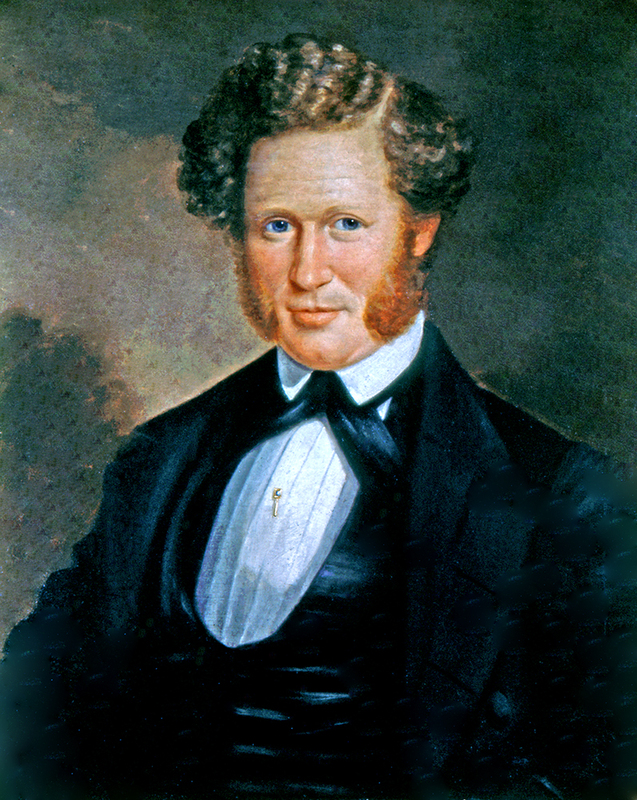 Painting of George S. Baker, unknown artist and date. Longyear Museum collection. Interestingly, an additional 23 transactions show up under an account labeled “Tilton & Baker.” This is in reference to a joint venture begun in 1838 between Alexander and Mark’s son George. The two operated a mill that manufactured kerseymeres, or fine woolen fabrics, using a process invented by Alexander.8 Beginning in 1839, Mark sold them a variety of goods and services, including wool for their mill. George ended up backing out of the business in 1846, and while Alexander continued with it, the ledger shows that Mark’s involvement also ended in June of that year. Front cover of Mark Baker’s ledger. Longyear Museum collection. On display in Mary Baker Eddy: A Spiritual Journey, the main exhibit at Longyear Museum. Mark Baker’s desk and personal items. Longyear Museum collection. 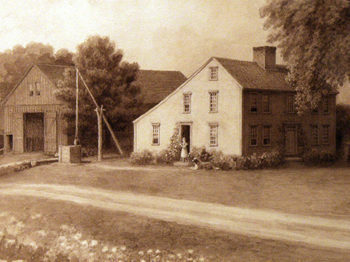 Engraving of Baker farm in Bow, New Hampshire, by Rufus Baker, 1899. Longyear Museum collection. Document showing Mark Baker’s appointment as the Sergeant Major in the New Hampshire Militia (1821). Longyear Museum collection. Document showing Mark Baker’s appointment as Justice of the Peace for Belknap County (1842). Longyear Museum collection. Tintype photograph of Mark Baker, circa 1850. Longyear Museum collection. While the roster of names gives a sense of the world in which the Bakers lived, drilling down further to examine the actual transactions sheds additional light on Mark’s activities through the years. It’s well documented how involved he was in his community, serving at different times as clerk of his church, land surveyor, coroner, chaplain, and more.10 Primarily, though, Mark was a farmer, and that vocation is certainly reflected in the ledger’s record of services rendered. By far the most frequent entry is along the lines of: To a day’s work of self and a yoke of oxen. While oxen have largely been replaced by machinery in developed countries, for thousands of years they were an essential element of farming. A pair of oxen yoked together and directed by a driver can accomplish a wide range of tasks, including plowing a field, spreading manure, and hauling heavy objects. As the ledger shows, for two decades this nuanced skill was well-known to Mark, who spent entire days driving a team of animals by the commands of his voice and the crack of his whip. Mark Baker’s whip, likely used for driving cattle. Longyear Museum collection. Mark’s next-largest commodities were produce (mostly potatoes), chopped wood, and hay. He undertook a variety of other miscellaneous jobs as well, including helping Andrew Gault write his will, hauling stone and timber, framing structures, and even occasionally repairing shoes. All of this activity highlights how resourceful Mark Baker was as a provider for his family. It is clear, however, that the ledger more accurately represents Mark’s secondary, rather than primary, income. In fact, the recorded business never averages more than one transaction per week, even in his busiest years. The major factor missing here is the work Mark had to do on his own farm, which would not be recorded in the ledger but was no doubt always his primary focus. For the most part, the Bakers probably lived off the resources from their own land, and everyone did their part to help. 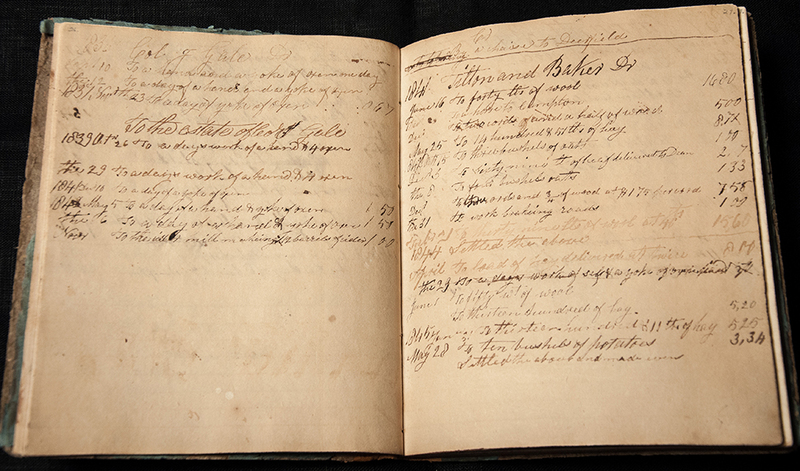 The Baker girls, for instance, write of spending weeks in April making 70 pounds of maple sugar and molasses.18 Likewise, the ledger shows some seasonal patterns to Mark’s work, too. In the colder months, Mark kept active selling wood and hay. His daughter Abigail recorded in 1837 how her father had prospered in his winter work, hauled all his timber to the shed, and had “the finest wood-pile in town.”19 In April, as the growing season started, Mark resumed helping others with their farm labor, while no doubt simultaneously managing his own crops, too. By the fall, he could sell off his harvest of corn, apples, and even cider. Potatoes, wood, and hay were year-round commodities. The overall impressions from the ledger, colored by details from letters and combined with educated assumptions, suggest a man who was resourceful and hard-working, traits not uncommon in lifelong farmers. The ledger’s transactions drop off in 1850, the year in which Mark retired from farming.21 Activity over the next five years is sparse, with the final transaction recorded in 1855: To a journey to Sandwich, N.H., for Alexander Tilton. In 1855, Mark Baker was 70 years old, and his children were grown with families of their own. Daughter Abigail, who lived nearby, had been married for more than a decade to Alexander Tilton. Son George was working out-of-state, but his wife had moved back to the area in 1853. Then there was Mark’s youngest, Mary, who had recently moved further up north with Daniel Patterson, her new husband of two years, hoping to be closer to her son, George. The ledger has no data from the last decade of Mark’s life, but it’s difficult to imagine that he spent much of it in idleness. 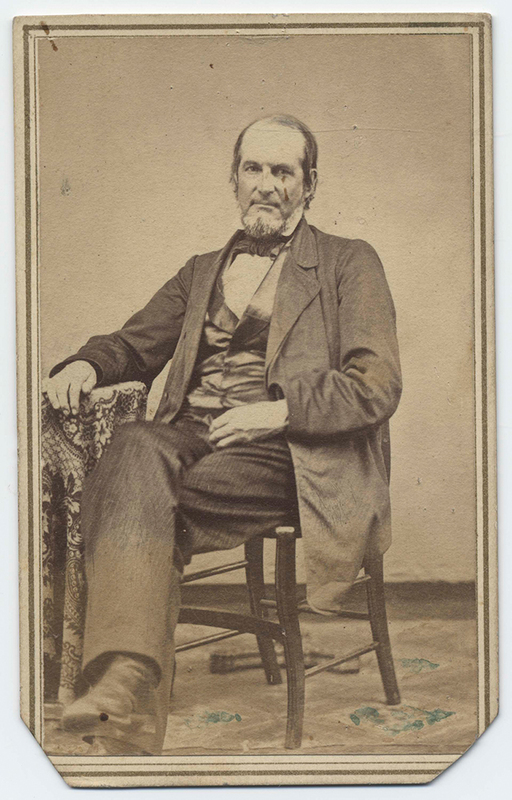 He passed away in October 1865, a mere four months before Mrs. Eddy would experience a life-changing healing in Swampscott, Massachusetts, one that led to her discovery of Christian Science. Although his children may not have always fully appreciated his religious devotion at the time, this was perhaps Mark’s greatest legacy to them. It certainly made a lasting impression on his youngest daughter, who in many ways emulated Mark’s best qualities, especially his Christian faith. Mark Baker’s ledger now rests on display at Longyear Museum. Exploring the forgotten details preserved within it sharpens and enriches our understanding of Mark and his community, and in turn, the people and places that shaped Mary Baker Eddy’s early experiences in Bow and Sanbornton Bridge. Though unassuming, the old book is a timeless testament to a lifelong farmer who knew the value of a day’s work, and who lived his life in service to those around him, his family, and above all else, his God. Biographer Jewel Spangler Smaus directly examines the ledger on p. 43 of Mary Baker Eddy: The Golden Days (Boston: The Christian Science Publishing Society, 1966). Quoted in Irving Tomlinson, Twelve Years with Mary Baker Eddy, amplified edition (Boston: The Christian Science Publishing Society, 1994), 14. First Congregational Church Records, Concord, N.H., 1730-1905, The New Hampshire Genealogical Record 5 (Jan. – Oct. 1908): 66. The officiant at Eliza’s marriage was Rev. Nathaniel Bouton, the Baker’s preacher in Concord, who had also presided over the marriage of Mark’s oldest son, Samuel, in the same church earlier that year. The ledger records mostly debits (money owed to Mark), though biographers like Smaus suggest that Mark probably received payment more often by an exchange of goods and services rather than by cash. The ledger shows a few examples of this, as in Gault’s account, though for the most part Mark doesn’t explain how he settled his accounts. Smaus details the friendship between the families and gives evidence for the dirt path between their properties in Golden Days. Coroner listing found in The New Hampshire Register and Farmer’s Almanac (Concord, N.H.: Hill and Moore, 1822), 34. 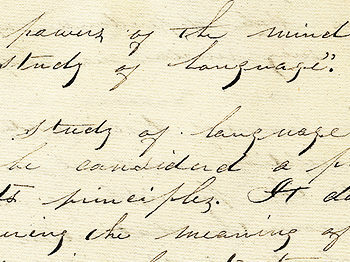 An 1835 Baker letter in the Longyear Museum collection suggests that a Mr. Hayes was the one who helped Mark select his new farm in Sanbornton Bridge, plus he recommended some additional properties that Mark considered purchasing. Mary Baker to George Sullivan Baker, December 20, 1836, Longyear Museum collection, Longyear Museum, Chestnut Hill, Mass. (hereafter referenced as LMC). Miss Hayes was likely a daughter of John P. Hayes, who may have been the Bakers’ nearest neighbor; his brother William lived nearby, too. A listing for Tilton & Baker found in Statistics of the Woolen Manufactories in the United States (New York: Wm. H. Graham, 1845), 17. For more about George, see “George Sullivan Baker,” Longyear Museum Quarterly News 4, no. 2 & 3 (1967). Historical connections based in part on evidence drawn from the following: Lucy R. H. Cross, History of Northfield, New Hampshire, 1780-1905 (Concord, N.H.: Rumford Printing Co., 1905); Moses Thurston Runnels, History of Sanbornton, New Hampshire, vol. 1 and 2 (Boston: Alfred Mudge & Son, 1882 and 1881); Fred Andrew Smart, The Builders of Tilton School (Concord, N.H.: Evans Printing Co., 1945); the United States Federal Censuses for 1830, 1850, and 1860, s.v. Bow, Merrimack County, and Sanbornton, Belknap County, accessed through Ancestry.com. For more about Mark, see “Mark Baker: Man of His Time,” Longyear Museum Quarterly News 3, no. 3 (1966). Albert Baker to George Sullivan Baker, December 15, 1835, LMC. Albert Baker to George Sullivan Baker, August 23, 1836, LMC. Currency value adjusted from 1842, the mean year of the ledger, to 2014, using http://www.westegg.com/inflation/. A cord is a unit of dry measurement for wood, generally a stack 4 feet high, 8 feet wide, and 4 feet deep. Mark Baker to George Sullivan Baker, September 14, 1835, LMC. A more complete assessment of Mark’s financial state requires additional information. 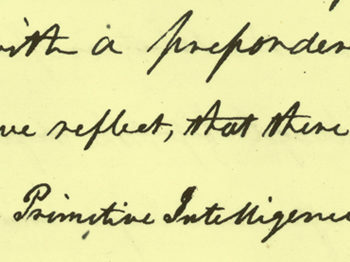 An 1835 letter from Albert Baker, although critical, implies that Mark at least made even. There are more clues in letters, and a record of deeds points to his ability to expand his real estate over the years. Robert Peel records in Mary Baker Eddy: Years of Discovery (New York: Holt, Rinehart and Winston, 1966) 314, fn. 81, that Mark sold his farm in Bow for $6,000. The U.S. Federal Census reveals that Mark’s real estate in 1850 (after he had moved from his Sanbornton Bridge farm) was valued at $1,500. The 1860 census shows Mark’s fortunes to have grown even more. According to Peel, Years of Discovery, 326, fn. 68, Mark’s wealth grew in part due to railroad investments. Martha Baker to George Sullivan Baker, April 24, 1836, LMC; also Martha Baker to George Sullivan Baker, April 17, 1837, LMC. Abigail B. Baker to George Sullivan Baker, January 15, 1837, LMC. New England’s July haying season according to George Christie, “Agriculture in New England,” Historic New England, http://www. 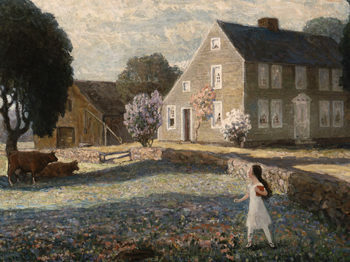 historicnewengland.org/school-youth-programs/k-12-programsresources/ pdfs/ne_agriculture.pdf. Mark had attempted to give up the farm at least twice before: in 1840, when he was suffering a serious illness, and again in 1847. The 1850 census lists Mark’s occupation as “None,” but interestingly the erased word “Farmer” is visible beneath. This article was originally published in the Spring-Summer 2015 Report to Members.